If you recently lost your home to foreclosure, or were fortunate enough to get your lender to agree to a short sale, you need to be certain that you correctly report this information on your income taxes. 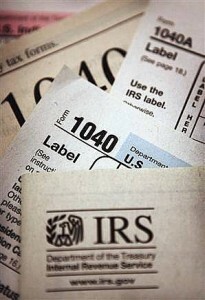 Most individuals are unaware the the IRS treats canceled debt as income. In general, if you owe a debt to a third-party and they cancel or forgive that debt, the canceled amount may be taxable. Consider the following simplified example. You borrow $100,000 and default on the loan after paying back $20,000. If the lender is unable to collect the remaining debt from you, there is a cancellation of debt of $180,000. The IRS generally treats this canceled debt as income. The Mortgage Forgiveness Debt Relief Act of 2007, however, generally allows taxpayers to exclude income from the discharge of debt on their qualified principal residence. If your mortgage debt is partly or entirely forgiven during tax years 2007 through 2012, you may claim special tax relief and exclude the debt forgiven from your income. Below are ten facts you should know about Mortgage Debt Forgiveness. According to the Mortgage Forgiveness Debt Relief Act, you may be able to exclude up to $2 million of debt forgiven on your qualified principal residence. You may exclude debt reduced through mortgage restructuring, as well as mortgage debt forgiven in a foreclosure or a short sale. Proceeds of refinanced debt used for other purposes , such as paying off credit card debt, do not qualify for the exclusion. If you qualify for relief, you need to claim the special exclusion by filling out Form 982, Reduction of Tax Attributes Due to Discharge of Indebtedness and attach it to your federal income tax return for the tax year in which the qualified debt was forgiven. Debt forgiven on second homes, rental property, business property, credit cards or car loans does not qualify for the tax relief provision. In some cases, however, other tax relief provisions, such as insolvency, may be applicable. IRS form 982 provides more details about these provisions. If your debt is reduced or eliminated, you should receive a year-end statement Form 1099-C, Cancellation of Debt from your lender. By law, this form must show the amount of debt forgiven and the fair market value of any property foreclosed. Please note that not all states recognize the Qualified Principal Residence Exemption and you should therefore always consult with a licensed attorney and/or tax professional regarding your specific situation in order to determine whether a short sale will result in tax liability or legal consequences. For more information about the Mortgage Forgiveness Debt Relief Act of 2007, visit IRS.gov. A good resource is IRS Publication 4681, Canceled Debts, Foreclosures, Repossessions and Abandonment’s. Taxpayers may obtain a copy of this publication and Form 982 either by downloading them from IRS.gov or by calling 800-TAX-FORM or (800) 829-3676. About the Author: Greater Boston Short Sales, LLC (GBSS) is Massachusetts’ leading short sale negotiator. GBSS assists homeowners, Realtors and attorneys with getting their short sales closed. Contact us today if you are a homeowner facing foreclosure or a Realtor seeking assistance with a short sale transaction. GBSS is a MARS provider. Please read our disclaimer HERE. TAX DISCLAIMER: None of the information on the site shall be construed or interpreted as tax advice and is strictly for informational purposes. Readers shall not act upon this information without first seeking advice from an independent tax professional. To ensure compliance with IRS Circular 230, any U.S. federal tax information provided on this site is not intended or written to be used, and it cannot be used by the recipient or any other taxpayer (i) for the purpose of avoiding tax penalties that may be imposed on the recipient or any other taxpayer, or (ii) in promoting, marketing or recommending to another party a partnership or other entity, investment plan, arrangement or other transaction addressed herein. All readers are encouraged to seek the advice of an independent tax professional when considering a short sale.